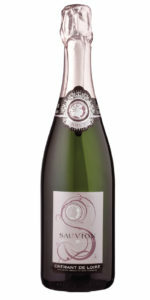 For a beaut of a brut, check out this effervescent blend. Tiny columns of resolute bubbles soldier to the surface, bursting to release a whisper of raspberry fruitiness on the nose. The grapes are manually harvested in the heart of the Loire Valley’s Saumur vineyard, so spare a thought — and drink a toast — to the hard-working folks in the fields. Petit Chablis may be the lesser known sibling of Chablis, which claims its own esteemed region in the northernmost wine district of Burgundy, but this little sister has a whole lot of sass. It flows from the bottle in a pale golden green stream, revealing hints of elderflower, citrus and freshly mown grass. The clean, crisp minerality and fresh citrus taste tingle the tastebuds without weighing them down. If it’s really got to be pure Chablis, consider the small, family run estate of Robert Nicolle’s Domaine de la Mandelière. Nicolle’s vineyard, perched on a limestone ridge, has produced a medium-bodied dry white that encapsulates the best of the French countryside. Straw green in colour, the wine evokes the subtle scent of fresh hay, blessed with a zesty lemon essence. Baby, it’s cold outside, but this lovely elixir drinks like a summer’s day. 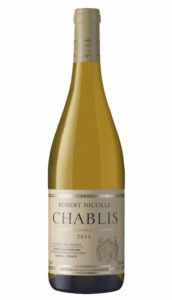 Read more about some excellent Chablis options HERE.